Wrinkle resistant high-key white backdrop perfect for high-key lighting. 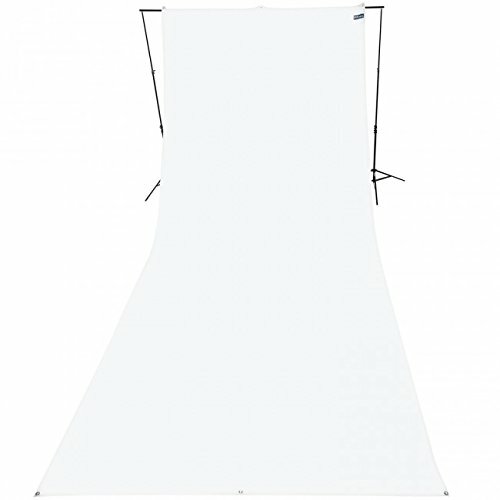 The seamless 9' x 20' size is perfect for portraits and groups and can be quickly and easily mounted using the included grommets or 3" pole pocket. The heavy-duty fabric is constructed using a matte finish that is ideal when creating high-key images. Included heavy-duty cloth carry case. If you have any questions about this product by Westcott, contact us by completing and submitting the form below. If you are looking for a specif part number, please include it with your message.